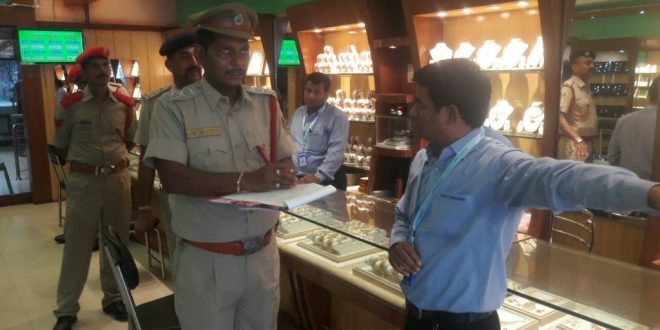 Berhampur: The Fire Service Department on Saturday inspected shopping malls and hotels in Odisha’s Berhampur to assess their safety measures. Separate teams conducted simultaneous raids on as many as 16 establishments in Berhampur town amid concerns over fire risks in commercial high-rises. During the drive, the Fire-fighting officials checked whether the high-rise buildings and multiplexes were equipped with thorough fire safety equipment, enough exit routes and exit signage boards, alternative evacuation plans in case of power failure or any emergency, and safety measures at the house-keeping department, among many others. Fire safety DG Bijay Kumar Sharma said the fire safety inspection revealed several typical neglects. Notably, the Fire Safety officials had already inspected commercial high rises, including shopping malls in Bhubaneswar, Cuttack, Puri, Rourkela and Sambalpur. They have also sealed some portion of two hotels in Bhubaneswar for violating fire safety guidelines.